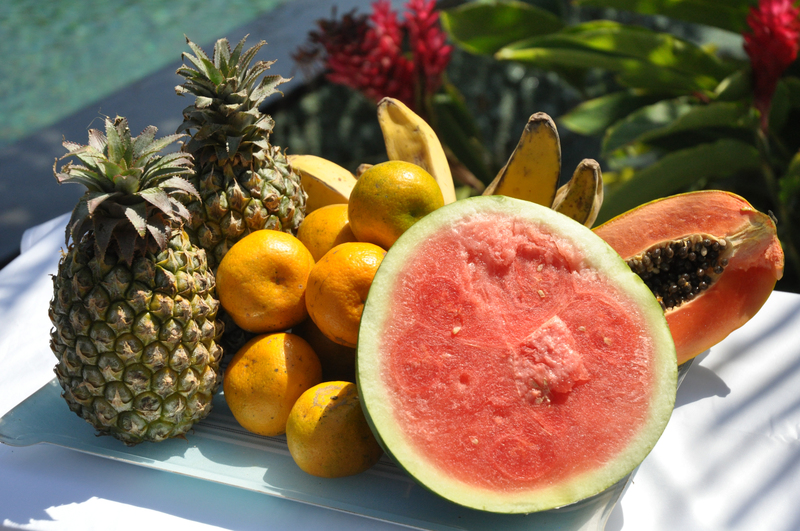 Bali is a tropical island, abundant with fresh fruit, so the best desert you can ever try will be some fresh fruit. The island has the best mango and papaya. In the mountains they even have small but very sweet strawberries. Durian is also grown in Bali. However for this last fruit: you either love it or hate it. I personally don’t like it at all because I absolutely hate its smell. But you can give it a try…. Kue Kukus is my favorite Balinese desert. It consists of sweet sticky rice cooked in sweetened coconut milk and served with fresh grated coconut that is prepared with black sugar. It is a very sweet and sugary dish that can be compared to the sticky rice in Thailand. It is quite heavy but delicious! Dodol is a toffee-like confection that the Balinese will eat like a snack. It is made from rice flour mixed with melting palm sugar and sometimes fruits to give it a certain flavor. It is steamed and then wrapped in dry corn skin. It usually comes in small servings that look like a toffee and can be bought in street stalls. Pisang goreng or godoh biu or fried banana, how delicious is that! It can be eaten as a snack or desert. 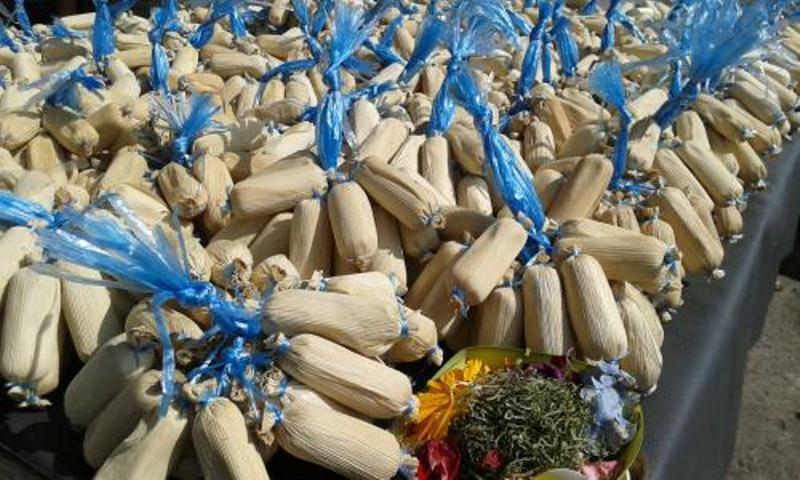 It is often sold by street vendors. 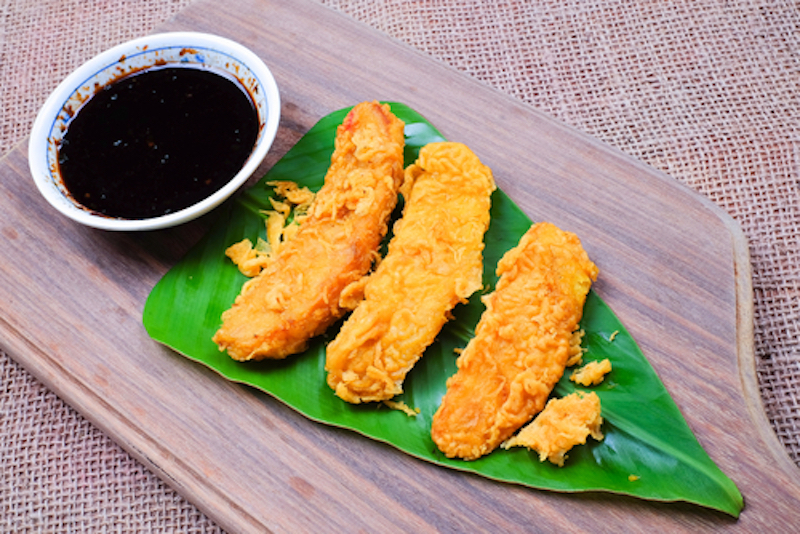 In Bali, small bananas will be used to make this dish. The coated bananas are deep fried so that they become crispy. It is often served with a light caramel sauce. This dish needs to be eaten hot. 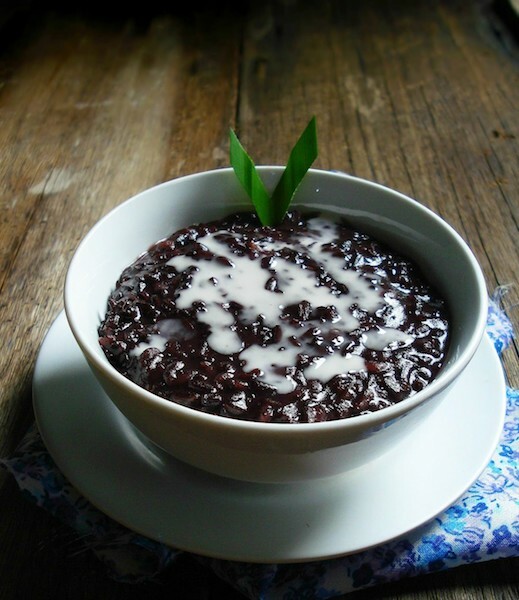 This desert looks like a black rice pudding and is very sweet again. So as you can read above, plenty of dishes to choose from. Balinese love to eat and this reflects in the numerous delicious dishes that they make. If you are interested in Balinese cuisine, please also read my article on the best Balinese dishes and my article on Balinese tropical fruits.